D.M.P. Engineering, established on 1991, is a family company owned and managed by Aviva and David Vishnia that specializes in artificial incubation for all species. 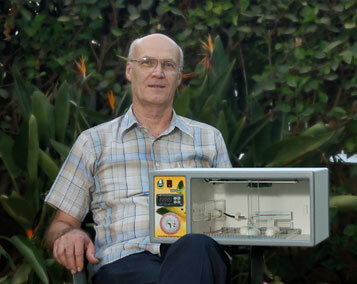 David Vishnia, an engineer in his profession, is an inventor of numerous inventions including a worldwide patent in the medicine field and also a parrot breeder for almost 30 years. Using his long term experience David Vishnia monitored his parrots’ behavior and conducted a comprehensive research of the incubation process in nature exploiting new & modern technological tools. Following this study, the Inca Incubators was developed and the crucial aspects of the natural incubating process were implemented in the incubators’ design. The Inca Incubators have been used for almost 20 years now all over the world by private breeders, breeding farms, Zoos & University laboratories with best hatching results ever. We believe that Inca incubators are the future of artificial incubation for its unique features by giving the best solution for a large verity of species with utmost success.